This week’s virtual world television focus is on Pooky Amsterdam’s formative experiences in the virtual world Habbo Hotel (or so it was called at the time). Producing in that virtual world helped shape her thoughts on VWTV and become the producer in Second Life she is today. 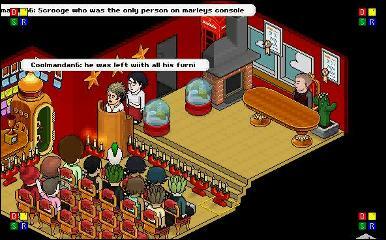 via VWTV Beyond Second Life: Pooky and Habbo Hotel.